As recently as five years ago, if you told a friend you’d sworn off gluten, the response would likely have been: "What’s that?" Today, supermarkets have dedicated gluten-free aisles, restaurants highlight gluten-free dishes on their menus, and millions of people have cut gluten out of their diets in the hopes of boosting health and losing weight. But despite all the attention, gluten confusion still reigns. 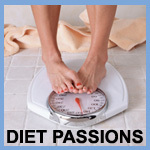 Enter cardiologist Arthur Agatston, MD, author of the groundbreaking The South Beach Diet. With that book, Dr. Agatston ended the diet debates and cleared up the high-carb versus low-carb confusion. In The South Beach Diet Gluten Solution, he does the same for gluten, demystifying the effects of the difficult-to-digest protein in wheat and some other grains. The truth is, not everyone needs to give up gluten permanently—nor does doing so guarantee weight loss. With Dr. Agatston’s phased Gluten Solution Program, based on proven South Beach Diet eating principles, you’ll be able to determine your own level of gluten sensitivity—and you’ll drop up to 10 pounds in just two weeks. What makes Dr. Agatston’s approach unique is that he shows you how to become gluten aware, not gluten phobic. He shares his own personal journey to gluten awareness and explores the latest research to determine the real connection between gluten and health. He explains that a number of factors, including our vast overconsumption of highly processed grains, have increased the incidence of gluten sensitivity and celiac disease. These conditions contribute to a host of health issues, including brain fog, mood swings, digestive disorders, joint pain, and skin problems. You can find relief from these and other symptoms by following the South Beach Diet Gluten Solution Program. With detailed daily meal plans, tips for traveling and dining out, inspiring stories, and 20 delicious recipes (that sacrifice neither taste nor health), The South Beach Diet Gluten Solution gives you everything you need to feel great, lose weight, and navigate the gluten-free world with ease.